Paris, known affectionately throughout the world as the City of Lights, is captured in precise detail in more than 40 extraordinary drawings by Desmond Freeman. The city's much-loved ornate buildings, majestic monuments, and grand boulevards from across its 20 arrondissements are the source of inspiration for this new artistic endeavour by noted artist Desmond Freeman. Working with ink he captures more than the intricate detail of Paris to reveal a city that is again open to being discovered. Lavish full-colour and black-and-white spreads show everyday Parisian life taking place in among the city's famous landmarks. With sweeping views of the River Seine, Notre Dame, the Paris Opera, the Eiffel Tower, Sacre-Coeur, Montmartre's artist markets and the Trocadero, to the shopping districts, which are a beacon to the style aficionados who travel from across the world to glimpse the latest in style and fashion, you will fall in love with Paris again. 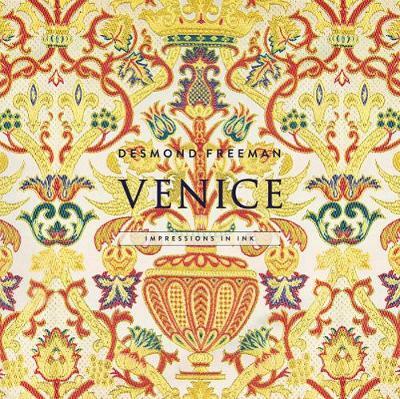 Freeman's first book, Venice: Impressions in Ink ISBN 9780994558404 won the Gold Medal in the Fine Art Books section at the 2017 Independent Publisher Book Awards in New York from 5,000 entries from around the world. This new book on Paris makes a perfect collector's item - it illuminates this artist's methodology and renders the city in a unique format with an original set of superb illustrations. Buy Paris by Desmond Freeman from Australia's Online Independent Bookstore, Boomerang Books. Desmond Freeman studied art and design at the National Art School in Sydney, Australia and later obtained a Master of Art from London's prestigious Royal College of Art. He has worked as a designer in London, Sydney, Singapore, Hong Kong and Dubai where he earned a reputation as a leading interior and museum designer, never abandoning his passion for painting and drawing. His first book, Venice: Impressions in Ink, attracted international attention, winning the Gold Medal in the Fine Art Books section at the 2017 Independent Publisher Book Awards in New York from 5000 entries from around the world.